Hyundai Motor Company will unveil its fuel cell electric vehicle (FCEV) buses and coaches, the company's latest innovations, next year. The FCEV bus and coach charge in just 15 minutes and boast a driving range of 460km – roughly 6.5 times the charging efficiency of other battery electric mass transit vehicles on the market, the company says. “Hyundai Motor Company has long recognised the importance of sustainability and strived to develop low-emission vehicles,” said Tony Kim, head of Hyundai Commercial Vehicle Africa & Middle East regional headquarters. Both the FCEV models feature Hyundai’s world-leading proprietary fuel cell electric vehicle technology, as well as a button-driven gearbox and a digital cluster suitable for electric driving. Boasting a futuristic appearance, they made a pilot operation at 2018 PyeongChang Winter Olympics. 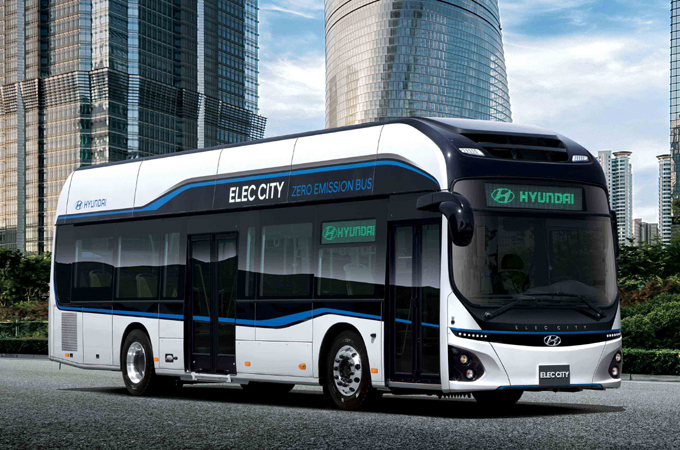 Hyundai FCEV coaches and buses were designed by Hyundai Motor Company in response to increased competition between manufacturers. Hyundai Commercial Vehicle is developing various eco-friendly commercial vehicles, including fuel cell electric buses and battery electric buses suitable for various uses and environments, the company said. “Global demand for commercial vehicles has been declining for the past three years and we anticipate this trend will continue throughout 2018,” said Kim.